Description Promotional artwork for an electronic music event in Paris (France). 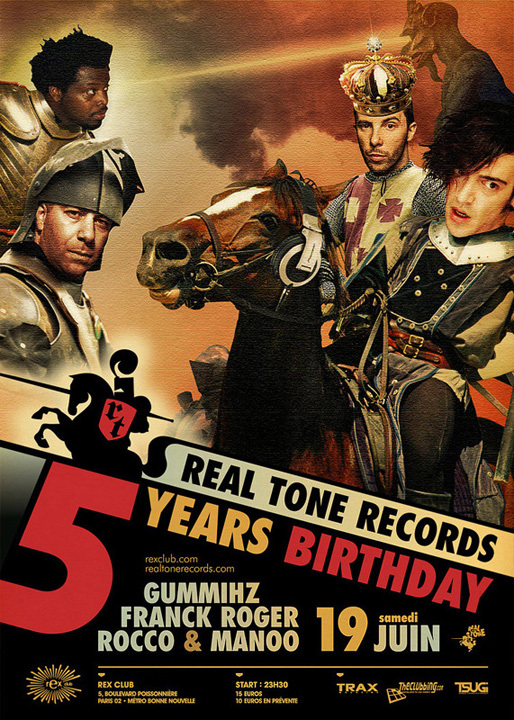 Real Tone Records celebrate their 5th Birthday Anniversary at the Rex. Guest DJs: GummiHz, Franck Roger, Rocco & Manoo.